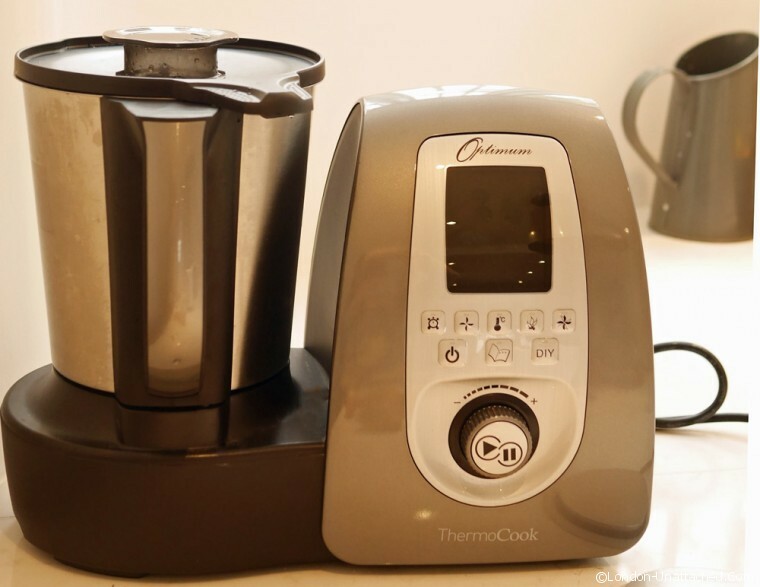 One of the biggest attractions for me of the Thermomix was having a kitchen utensil that was really multi-functional. I’ve never quite been able to justify spending over a thousand pounds though. 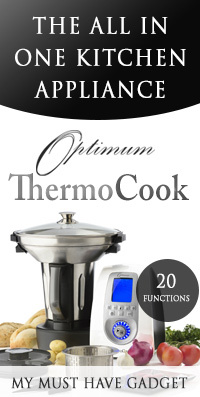 So, I was (and still am) really excited to be given the opportunity to review and use the Thermocook Optimum. I’m still at that ‘experimental’ stage where most of the things I do need to be re-tested and fine tuned. I’ve made soups, I’ve used the Thermocook as a slow cooker and I’ve made a LOT of mashed potato. But, the most innovative thing I’ve done, using the Thermocook as a sous-vide is an idea I’ve stolen from the Thermomix forums. It is something that really does work exceptionally well and, I think, needs to be celebrated and shared. So far I’ve tried venison shoulder steaks and duck breast. They are both the sort of thing I would normally pan fry, but which I struggle to get cooked through yet rare. They also both have a tendency to be a little tough. Of the two, the duck breast was a resounding success while the venison was good but not perfect. I allowed two and a half hours for each at 60c, but I suspect the venison would have benefited from a longer cooking period at a slightly lower temperature. If you are making this yourself in a Thermocook I suggest using the kneading shaft – you don’t want to accidentally pierce your sealed sous-vide bag. The size of the jug on the Thermocook means that you will probably not be able to sous-vide more than 4 medium size duck breasts at a time. There is a wealth of information about cooking temperatures and times on the internet. I used this guide and adapted my recipe from this one. Nerves got the better of me, so I cooked the meat for a little longer and at a slightly higher temperature. One of the best things about sous-vide cooking though is that you can keep food at the ‘perfect’ level for a couple of hours. So a meat like duck breast which might get tough if you overcook it in the oven or a frying pan will be beautifully tender and pink even if the phone rings and you end up talking for an hour or so when you should be serving dinner. The recipe is ultra simple – and I shall be making it again. 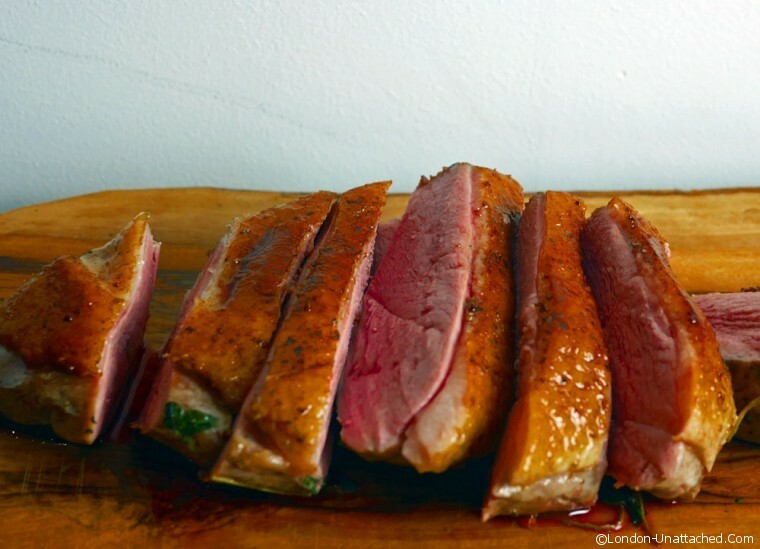 The duck breast is meltingly tender – and I think it would be great served cold, sliced into a salad. Now I’m not an egg eater – but I’d love to know how the Thermocook fares at making a slow-cooked egg. Apparently, you just pop the eggs straight into the water bath/Thermocook jug and cook. Eat your heart out Heston! The Thermocook is now available for just under £500. At less than half the price of the Thermomix but with all the functionality, that’s something of a bargain. Disclosure: Froothie UK sent me the Optimum ThermoCook to use and review at home. I have not been paid for this post and was not required to give the ThermoCook a positive write up. All opinions are my own. There are affiliate links in this post so that if you buy the Optimum Thermocook I will get a small commission. I’m so impressed by this machine and really a rather reasonable price considering what it can do. I cannot imagine using it as a Sous-Vide without feeling like a Masterchef competitor but I can most definitely imagine eating that succulent duck! Happy New Year Fiona! Wow, this sounds amazing. I’m terrible for leaving food cooking for too long while I’m on the phone, or often blogging! LOL me too, this machine works wonders though – it’s all timed so it is much easier! This is immensely fascinating to me! I have recently been “transitioning” back to being an omnivore after being vegetarian (mostly vegan) for almost 20 years. If I’m going to eat meat, I want to do it justice, but I’ve been super reticent to experiment due to fear of failure. Sous vide seems to have potential to avoid any catestrophic mishaps? I also have been given a Thermocook to review and plan to give this technique a try very soon. Haven’t had duck ever in my life but I DO like venison (how weird it feels to type that)! In theory Sous-Vide should prevent you overcooking meat or drying it out. It’s a forgiving technique.